There’s no better place to see Australian wild life in the heart of the city. From koalas to kangaroos to saltwater crocodiles, hundreds of animals call WILD LIFE Sydney Zoo home. To learn more about our animals and exhibits, please explore our habitat zones here. Our unique, award-winning zoo combines state-of-the-art design with stunning, authentic theming to recreate the iconic habitats of Australia. 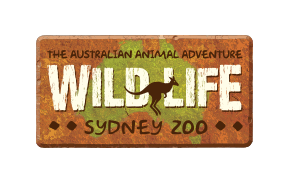 But most importantly, we're the most FUN and interactive animal attraction in Sydney, showcasing a wide variety of Australia's most amazing and iconic animals! With intimate indoor and expansive outdoor enclosures, including Koala Encounters on the rooftop and our huge Kangaroo Walk-About, there is so much to do! Make sure you pre-book your tickets online to guarantee entry and avoid disappointment. Click here to book.